In the drawing below I have e.g., a rectangle. 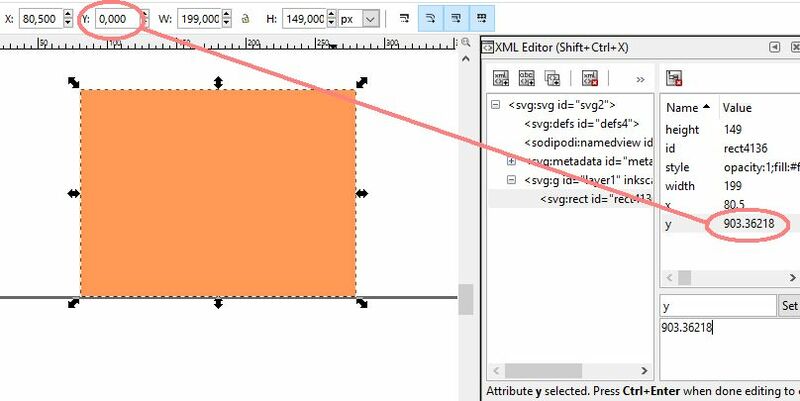 In the GUI, Inkscape says the rectangle is at Y position 0, but in the XML for that element it says 873. Why is that and how do I get the "real" number? Background: When exporting the image (scripted), I want to add 10 pixels border on all four sides. I thought I could just look for the largest / smallest coordinates in XML and add the 10 pixels for border, but I end up exporting an all white background instead of the image. Working with the XML comes natural here because I get other (meta) information from that. This is Inkscape 0.91 on Linux, in case that matters. Usually SVG units are expressed in pixel, and if Inkscape coordinates are set to pixel, they should coincide (see also here and here). 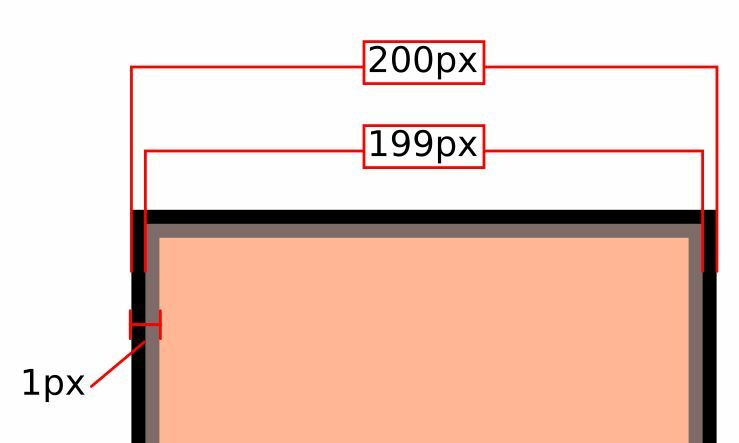 In your example the difference in width (236.185 vs 234.869) and height (180.000 vs 178.6805) is due to the border width of the rectangle, which is included in Inkscape W and H and not included in SVG width and height. 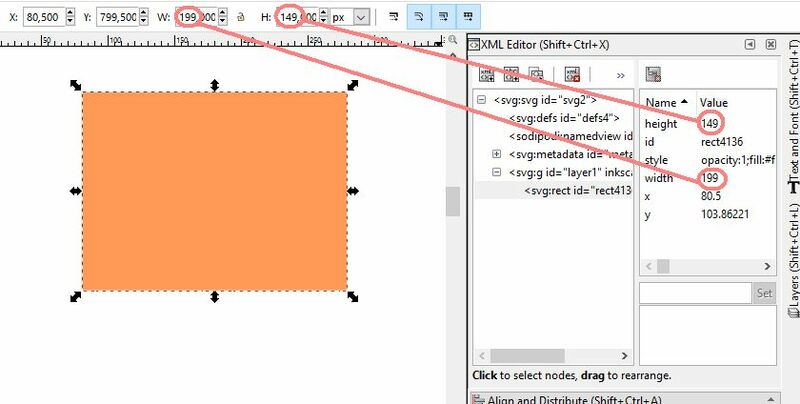 Be aware that the Y coordinate in Inkscape has the zero on the bottom of the document, while in SVG the zero is on the top of the document. Not the answer you're looking for? Browse other questions tagged inkscape svg xml or ask your own question.